Hello! 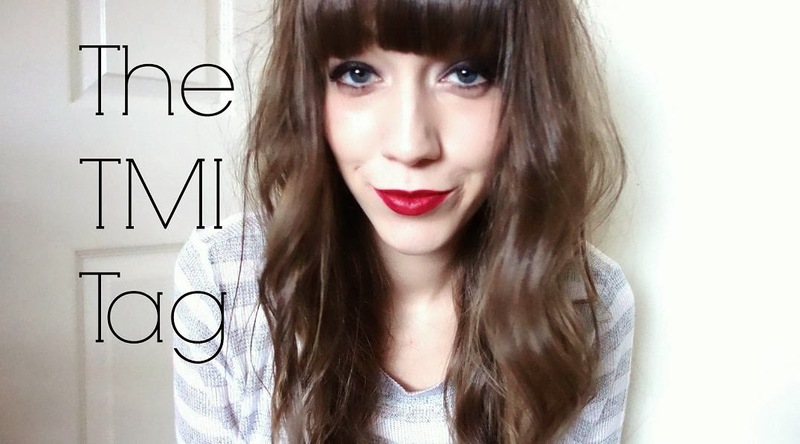 I have a new YouTube for you today with that lovely misleading title of ‘The TMI tag’, which isn’t really intrusive or TMI at all. It just has a lot of info which will either be super interesting or boring as hell. It’s not edited as smoothly as I’d like, but I haven’t got my PC yet (waiting for the boyfriend to come back from Germany to install it), so cutting things out on my five-year-old, pensioner laptop is getting harder each video. Literally cannot wait to be able to properly multitask and edit without it having a heart attack! Anyways, as always, views are much appreciated and let me know if you’ve done this tag! All the questions are in the description bar on YouTube. ps. Make sure you’ve entered my £100 giveaway! Click here.